With the weather heating up and summer just around the corner, you’ll want to ensure you’re putting your best skin forward this bikini season. Forget embarrassing waxing sessions, DIY creams or shaving day after day. 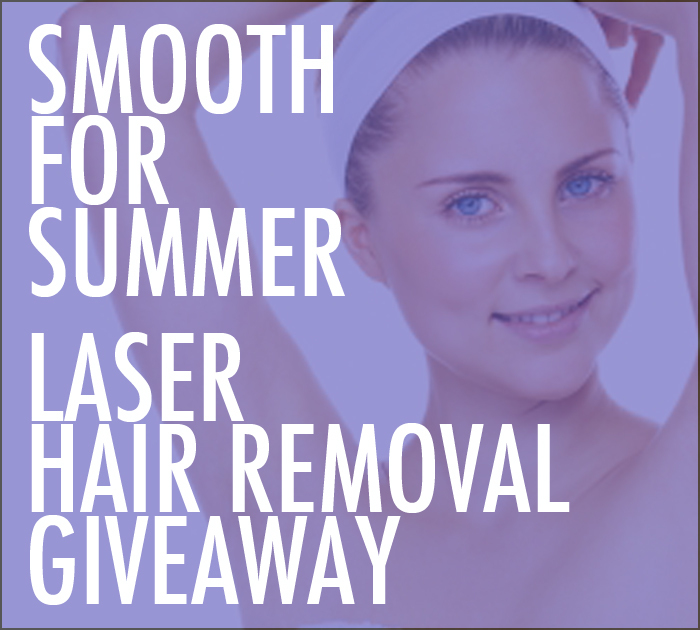 Now is the time to consider laser hair removal options for soft and smooth skin all season long sans the discomfort and inconvenience of temporary hair loss solutions. LightSheer Duet Laser– The new LightSheer Duet entered the market in 2010 with breakthrough technology that eliminates the mess and minimizes the discomfort of traditional laser hair removal treatment. The treatment is also four times faster than older treatments – both underarms can be done in less than five minutes, the back in less than 30 minutes and both legs in less than 40 minutes! This new treatment offers such little discomfort that most of our patients forgo topical anesthetic. As the hand piece passes over the skin, you’ll feel warmth and a slight pinch. Post-treatment, some patients experience mild redness on the area treated. On average, five treatments are generally required to get rid of all the hair in the area being treated. 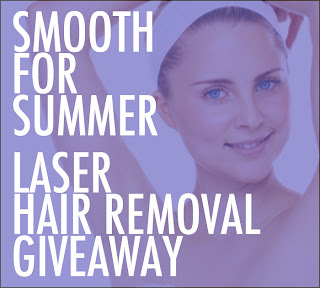 Alma Laser Hair Removal – Considered the “pain-free, hair-free” treatment, the system’s SHR technology and IN Motion protocol heats the targeted area and then SHR’s pulses of energy slowly heat the hair follicles in the skin’s sub dermal layer. A cooling mechanism ensures the skin stays cool and comfy throughout the treatment. The treatments are quick – 5 to 15 minutes for treatment on a small body part and 20 to 30 minutes for a larger area such as the average man’s back – and require no recovery downtime. Usually six treatments are required to ensure the best results. Syneron elos System– This treatment serves as a complete aesthetic treatment solution, offering laser hair removal as well we IPL (intense pulsed light) treatments for skin tightening, wrinkle reduction, skin rejuvenation, acne treatments and facial vascular treatment. This system offers the most successful treatment on the broadest spectrum of hair colors, skin textures and skin tones with minimal downtime. 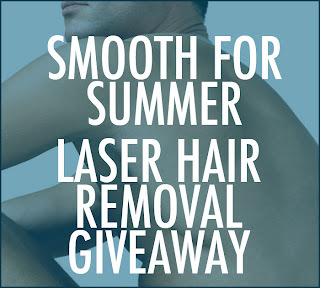 We at The SHAW Center want you to experience your smoothest summer ever so we’re giving away five laser hair removal treatments (either the underarms and bikini area for women or the upper back for men). 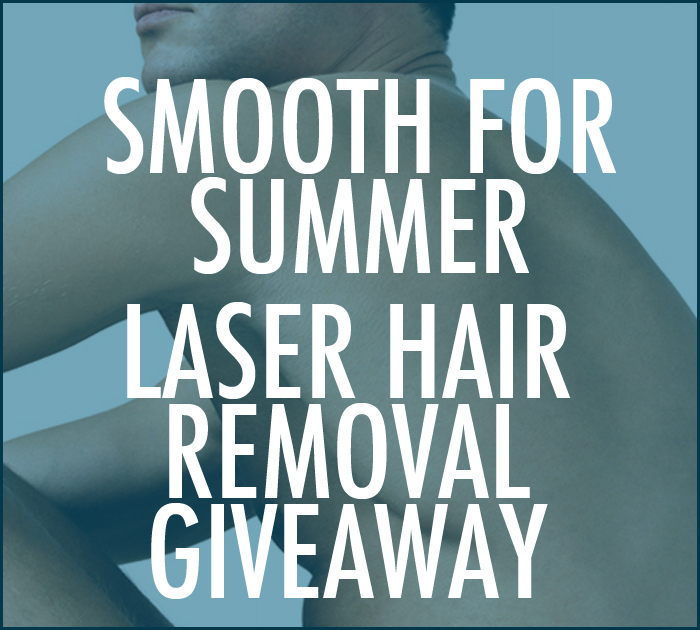 Enter to win by telling us in the comments section of this blog post why you must be super-smooth this summer. The SHAW Center team will pick a winner and announce it via social media on April 30th, 2013. Don’t forget an email address or way to contact you if you are the lucky winner! No purchase necessary.